I recently made my first trip to the UK (note the use of first) and decided that the high number of pianos lying about practically asking to be played was absolutely marvellous and an indication that the UK may be my spiritual home. It started at the airport with a ‘Play Me’ piano before we’d even technically arrived in the country, and culminated in my favourite, the grand at Chatsworth House. In the library. 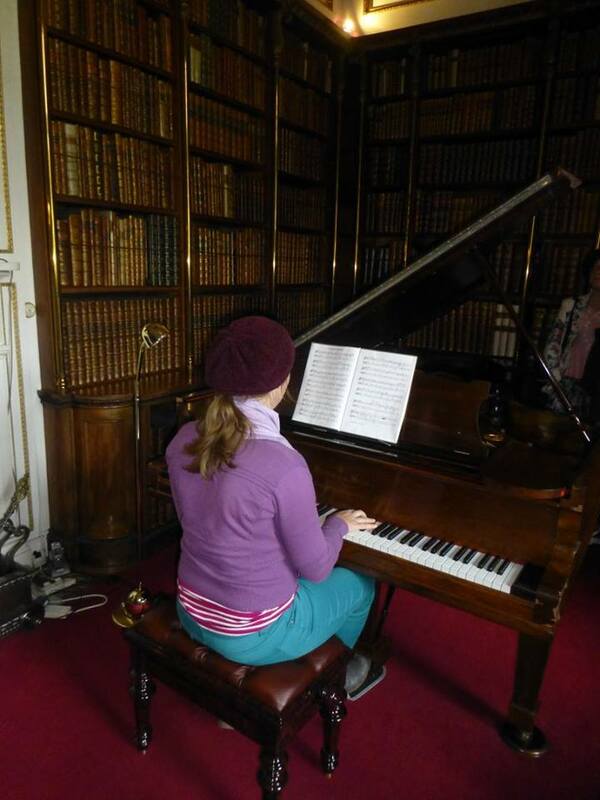 I felt like Beth from Little Women as I spotted the ‘pretty, easy music’ laying on the piano, and nervously sat down to have a go. Soon I was lost in a rather pretty tune and a rather lovely piano, and made it all the way to the end to find an audience of around 20 gathered and enthusiastically applauding. For this little Australian, it was rather special. Thanks to Felicity for the picture.